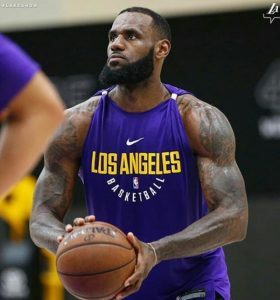 Celebnsports247: Celeb Sports News and Sports Gossip 247 Did LeBron James Threaten to Break Lakers Teammates Nose? 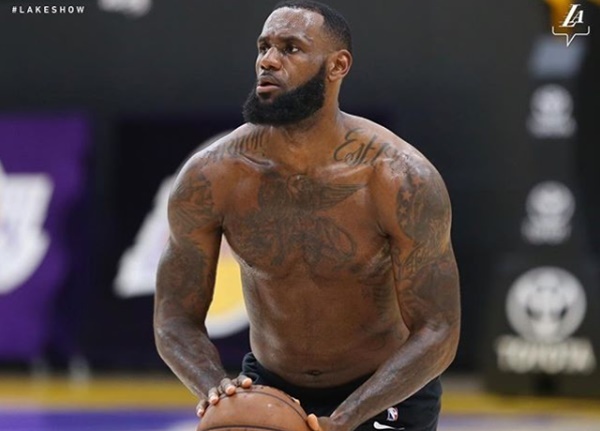 Over the weekend a rumor surfaced via social media that LeBron James allegedly threatened one of his Los Angeles Lakers teammates. 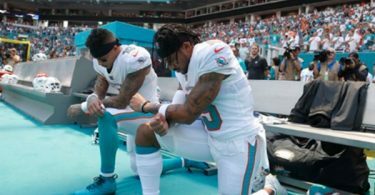 CelebNSports247.com go word via TerezOwenz who posted the news about LeBron James threatening to break one of his teammate’s noses. Pelinka apparently caught the exchange via Twitter where King James expressed his feelings about the situation to the other player who was said to have had lost the ball. 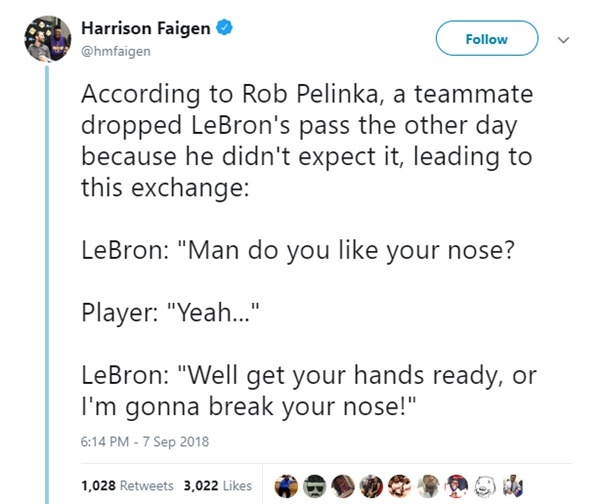 LeBron: “Man do you like your nose? Now, we are NOT sure how true this actually is, but it’s interesting. 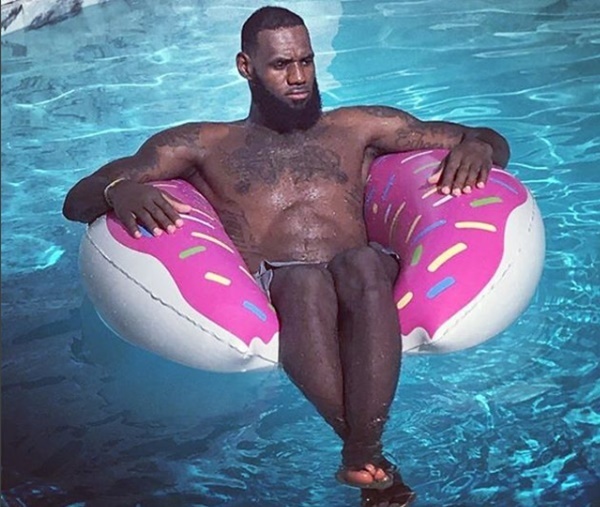 If you ask us, we’re NOT buying any of this, and feel like King James confused while floating in the pool. What is your take on all of this? Do you believe that LeBron James would actually go as far as threatening a teammate on his new team? That would make for a crappy season because the teammate would always have an issue with James.